Dinsdag 9 september is Ademhalen verschenen. De tweede roman van de auteur van Nachtzwemmen, Lucy Clarke. In deze spannende roman doet een jonge weduwe schokkende ontdekkingen. Voor de blogtour rondom dit boek mocht ik dit boek alvast lezen. Mijn bijdrage aan de blogtour is een interview met de auteur Lucy Clarke. Hieronder volgt de mailwisseling met Lucy. 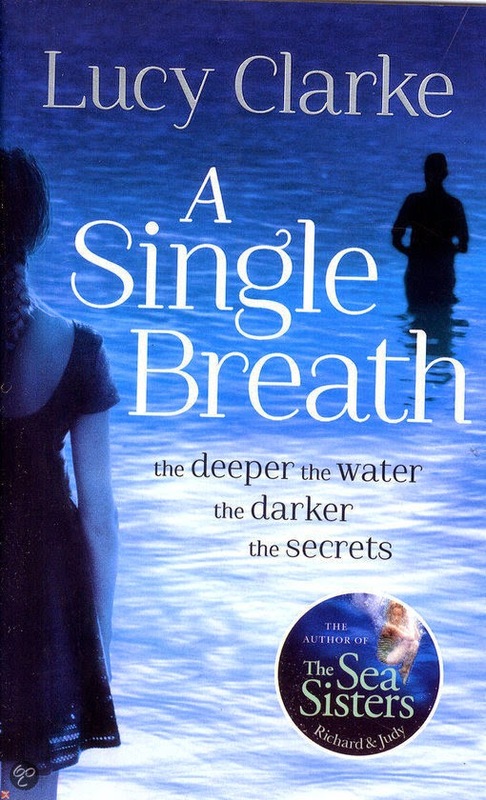 I read your book “A Single Breath” for the Dutch publisher A.W. Bruna and I really enjoyed reading it. I love the way the characters are written. I could sympathize with Eva and Saul and their struggle. I even felt a bit of understanding for Jackson. I liked reading about the islands and the diving. It was like I was there myself. You wrote a beautiful story about love, friendship, mixed with the intriguing story about betrayal and secrets. Till the very end I believed Jackson was alive but I never was sure so I kept reading. I wanted to know why he did this to Eva, and what would happen between Eva and Saul. Thank you for allowing me to ask you some questions for my bookblog. Thank you! I’m so thrilled to hear you loved A Single Breath – and thank you for your insightful, interesting questions. As suggested, I’ve picked 6 or 7 to answer. Your books are published in many countries and there are a lot of different covers. Which is your favorite? (My favorite is the one from the UK) Do you choose the covers yourself or do the publishers do that for you? That’s an interesting question. Yes, my novels do have completely different covers in each country – and sometimes different titles, too. I only have input into the UK cover, which I work closely on with my publishers, so I’m pleased you like it! I have to say that I’m particularly taken by the Dutch cover, which has a wonderfully evocative and eerie feel to it. 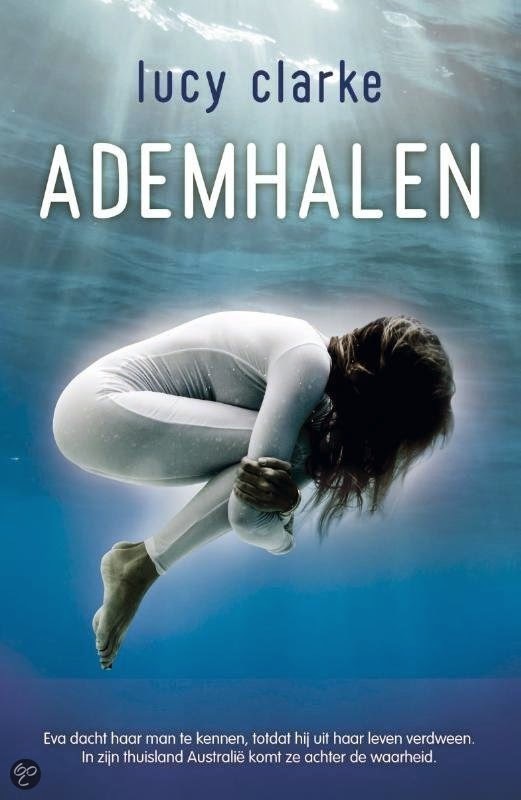 In the Dutch version of the book, the main characters have the same names as in the English version. Did you pick out international names intentionally? It’s lovely to hear that the names are the same in Dutch as in English – it wasn’t an intentional decision at all! Where did the inspiration for “A Single Breath” come from? And why did you choose Tasmania for the settings? The idea for A Single Breath came from two very separate threads. In 2011, I visited Tasmania for the first time and fell in love with its wild beauty and its remote shacks. Later on that year, I heard of a friend-of-a-friend who was leading a double life in order to hide a huge secret from their family. I was intrigued by the idea of the unknowability of those closest to us, and thought how devastating it would be to find out the truth only when that person had gone. These two threads began to weave together, stitching themselves into the beginning of a story. How does traveling a lot with your husband and having a degree in English influence your writing? Do you also travel a lot for promoting your book? Where have you been and will you come to the Netherlands to promote your book? When I was 23 I travelled across the USA & Canada with my then boyfriend (now husband) for six months. We had no money, so we camped, hiked, and cooked our dinner on a stove every night. The trip inspired a passion for travel in us both and we made a pact that when we returned to the UK we’d find a way to build travel and adventure into our lives. Eight years later we’ve kept that pact and have spent every winter abroad travelling to countries that include Western Australia, Tasmania, New Zealand, Maui, Fiji, Chile, and Bali. I keep journals whenever I’m abroad, and these have been fantastic research aids once I’m home and writing about far flung places. I haven’t been to the Netherlands as yet to promote my books, but I certainly hope to in the near future! I’ll keep you posted! You are a fulltime writer. Do you have a daily writing rhythm? Do you write every day? Where do you write? And when you are working on a book do you use a computer or do you write with pen and paper? Yes, I’m a full time writer (and very grateful for the privilege!). On a typical writing day, I wake early and am usually at my desk by 6.30 am. I’m hopeless by evening – it’s as if my creativity fades with the day. I generally write Mondays to Fridays so that I have evenings and weekends free to spend with friends and family who have ‘proper jobs’! I only have one rule when I’m writing: get outside every day. Fresh air is good for the soul, and great for the imagination. 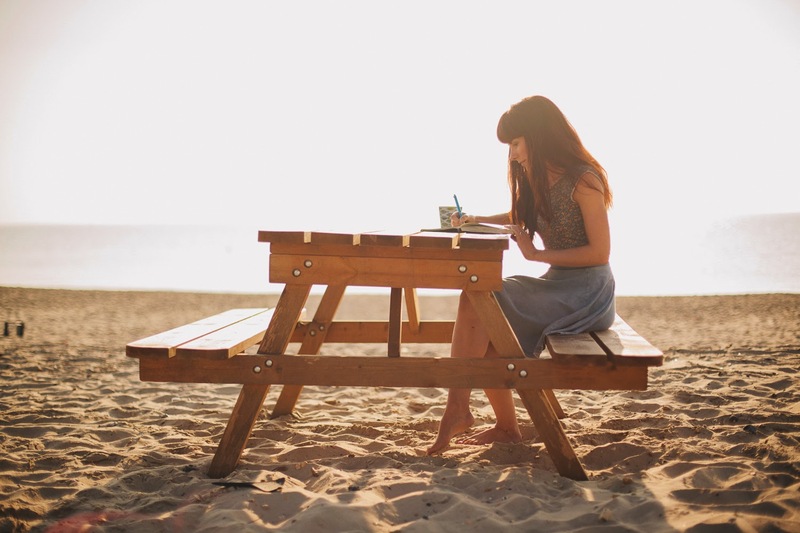 Can you tell us whether you are currently writing your next book? And if so, can you give a small hint of what kind of book we can expect? I’m currently writing my third novel – and loving every moment of it! The working title is The Blue, and the novel is set on a yacht sailing towards the South Pacific, crewed by a group of travelers. Best friends, Lana and Kitty, join the yacht in the Philippines and sail through crystal clear lagoons, and remote, uninhabited islands. But, on a 10-day ocean crossing, the crew wake to discover one of their friends is missing – and no one claims to have seen anything. Disturbed by the disappearance, relationships between the crew begin to fracture, and Lana and Kitty’s friendship is stretched to breaking point. It’s a story of friendship, hedonism, and the delicate balance between truth and lies. What are your own favorite books and writers? Is there a writer you would like to meet? I have two favorite writers. Firstly, Maggie O’Farrell for the sheer vividness of her imagery, the effortless way she depicts character, and her ability to make me feel an entire spectrum of emotions with each story: love, empathy, fear, loss, laughter. Secondly, Tim Winton, who has taught me about the language of landscape. His novels describe the landscapes and seascapes of Australia with such rugged clarity and passion that I turn the pages, jaw agape. I would absolutely LOVE to meet both of these incredible writers! Mooi interview Connie! Leuk om te lezen. Haar debuut vond ik al erg goed, ben erg benieuwd naar 'Ademhalen'. Mooi interview Connie en erg leuk dat je het in het Engels hebt gehouden!! Heel leuk om te lezen. Well done Connie!